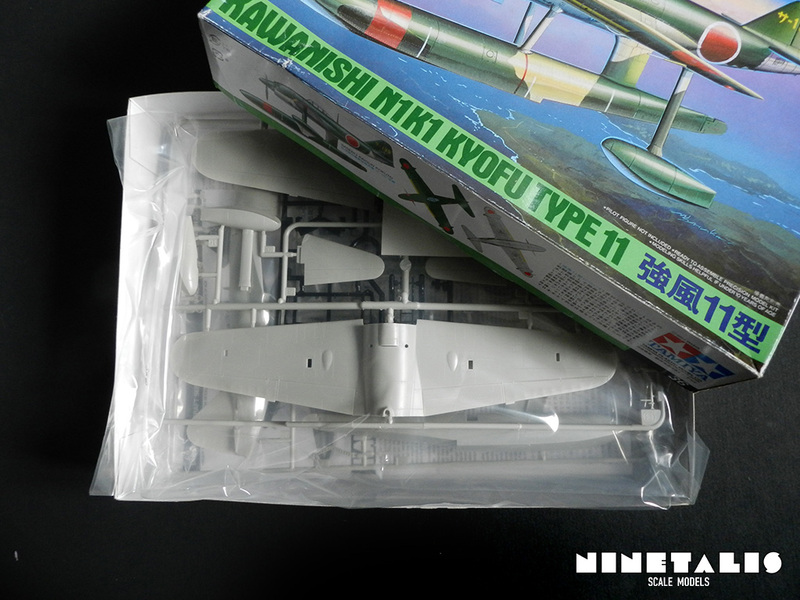 The Kawanishi N1K1 was a Japanese floatplane fighter aircraft build to support bases in the Pacific when no airstrips were available, but where usage could be made of the large bodies of water near them. 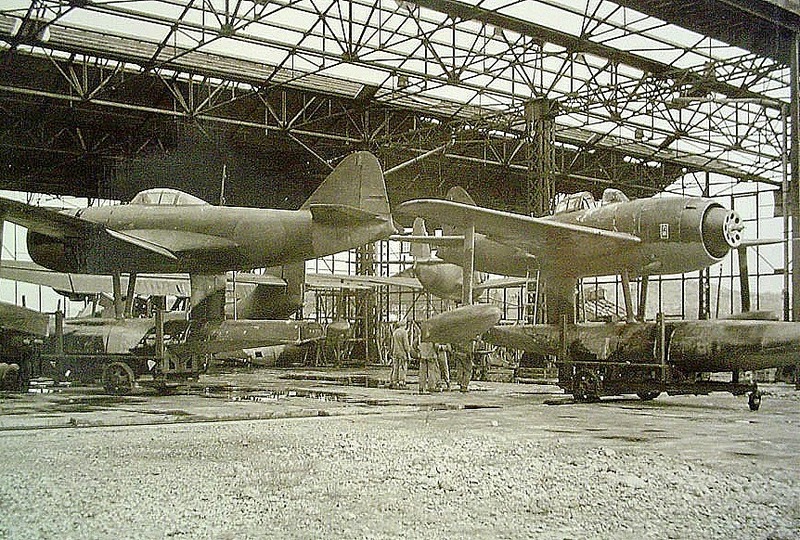 The aircraft showed much promise but suffered from certain issues like the complexity of building the airframe, consisting roughly over 19.000 parts. By the time the aircraft entered service in 1943, the Japanese had already shifted their war-efforts into the defensive and the aircraft could be outmanoeuvred by the newest generation of US fighters thrown into the fight. These problems were caused by its small engine and the additional weight and drag caused by the floats. 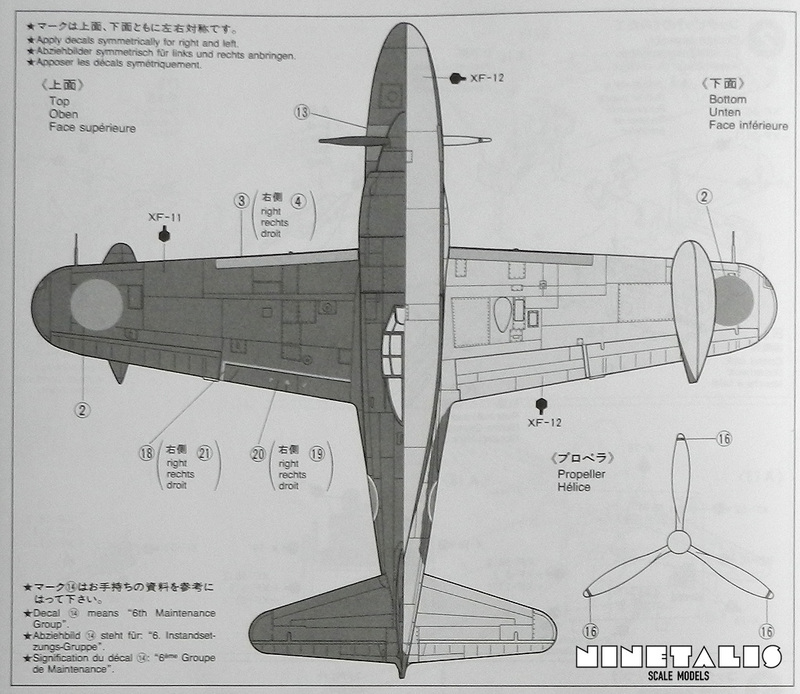 This resulted in the research and construction of a land-based version of the N1K1-J, which evolved into the N1K2-J. 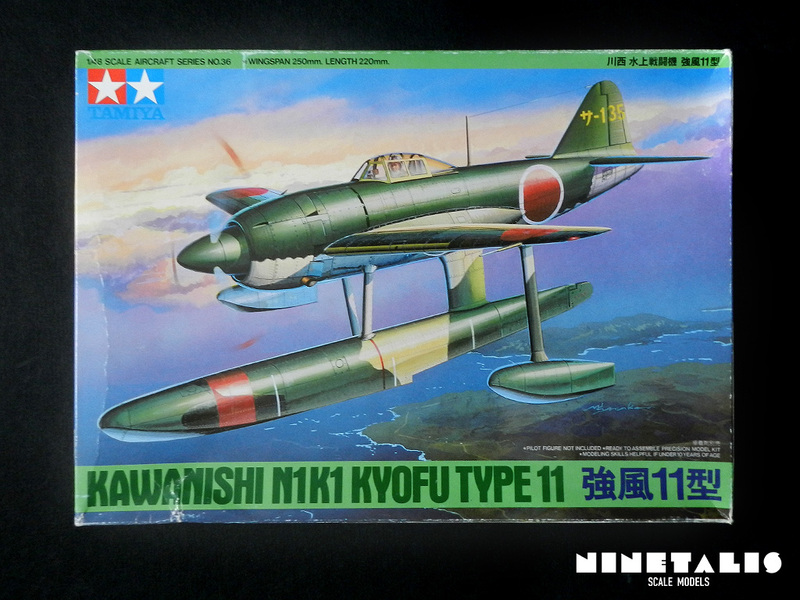 These were considered to be the best Japanese fighters of the war together with the Nakajima Ki-84 and Kawasaki’s Ki-100, and could confront Allied aircraft. Yet, build in to low numbers, construction issues and the necessity of a skilled pilot to control the aircraft, it could affect to the outcome of the war. This article is partially based on information found at wikipedia, 11nd of JULY 2015. 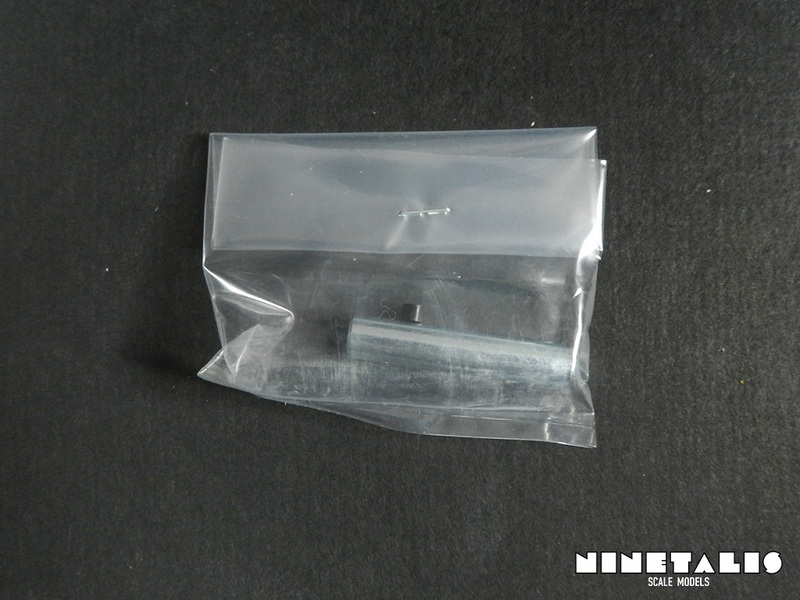 Inside the kit we can find four styrene sprues and one clear sprue. The styrene sprue which holds the parts that are not from the airframe itself are molded in black instead of gray. We can also find a weight that goes into the forward area of the center float, so the aircraft won’t sit on it’s tail, and two black parts which provide the possibility to spin the propeller after completion. 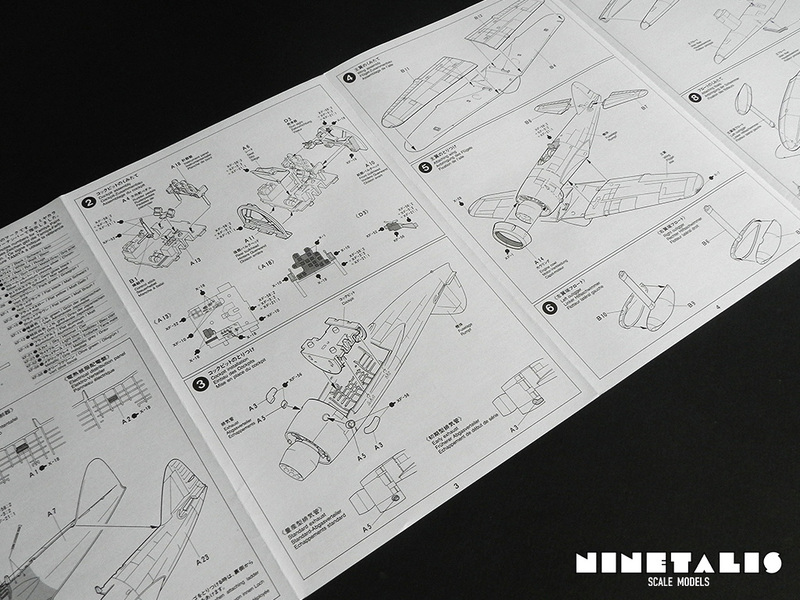 Once you start examining the sprues, it becomes apparent how few parts are inside the kit for such a large fighter. 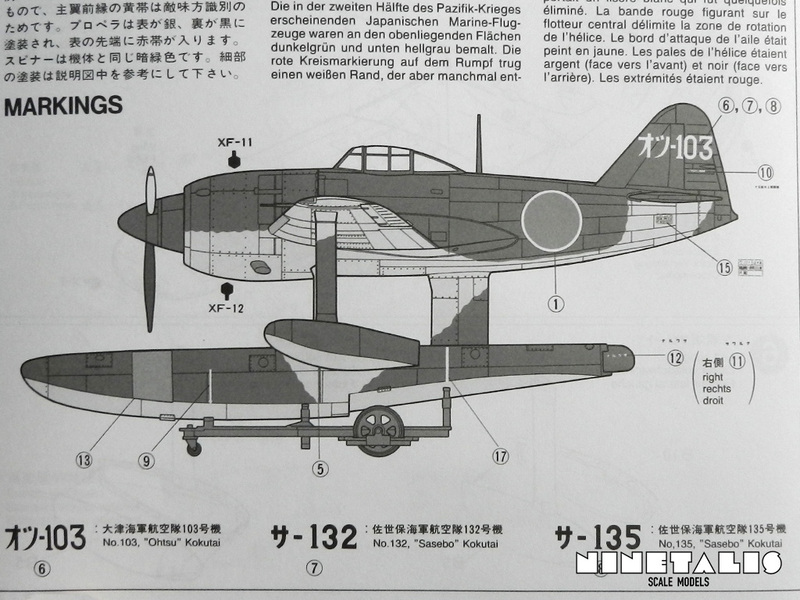 The cockpit alone is supposed to be build up from only seven parts (nine if you include the fuselage sides). 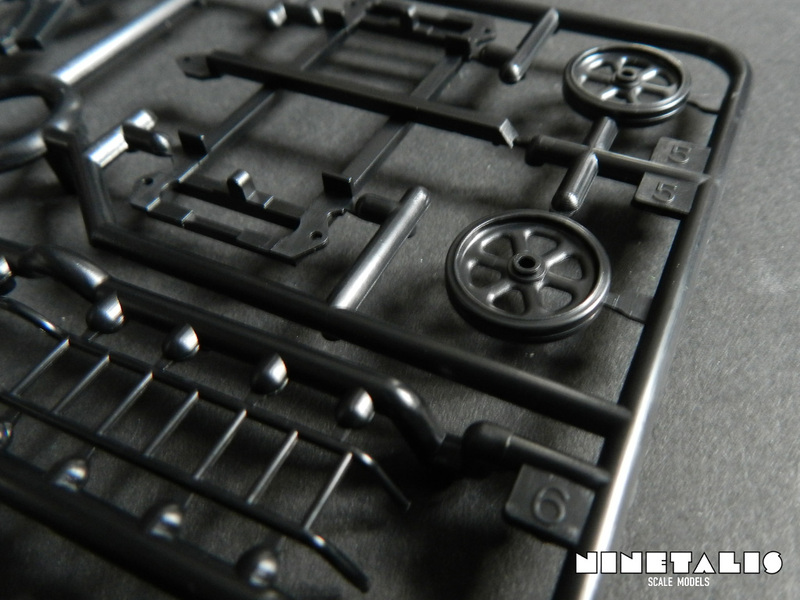 No worries though, the amount of parts may be low, it stays true to its Tamiya roots with fine details found on those parts. It may actually please many builders who are tired of over-engineered kits clogging up their build time or destroying their motivation, creating a possible quick build thanks to this and the usual Tamiya quality fit, as I’ve been able to experience during some test fitting. The A sprue holds the internal parts and all external parts aside from the wings, the outer floats and horizontal stabilisers. 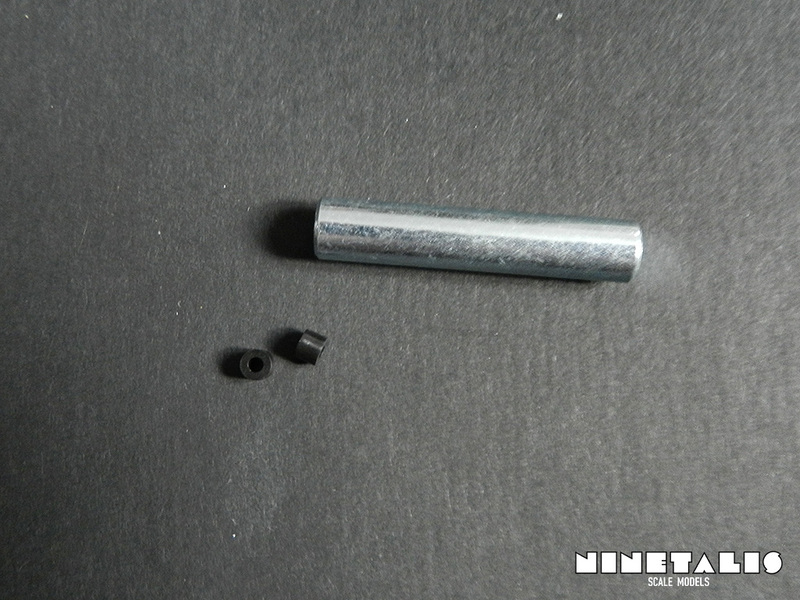 The parts contain fine details, like recessed rivets and panel lines. The cockpit also features fine details like small buttons and recessed instruments on the instrument panel. 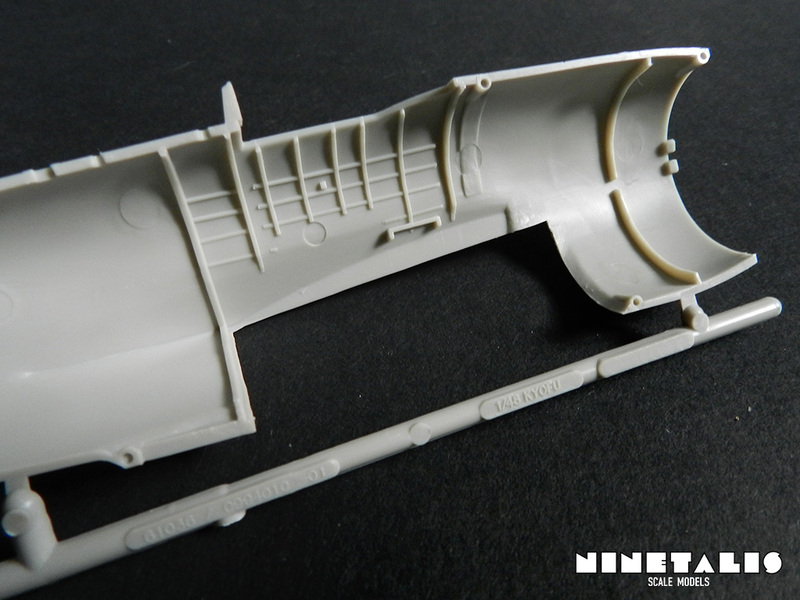 On the inside of the fuselage halves (of which one is molded on a separate sprue) are raised stringers and chords to depict the details on the cockpit walls. The only letdown on this sprue is the engine, which molded into one single part with the firewall between the cockpit and the engine itself. However, this is not a huge drama with this aircraft, as the massive propeller cone and bulged engine cowling hides most of the engine once the aircraft is fully constructed. 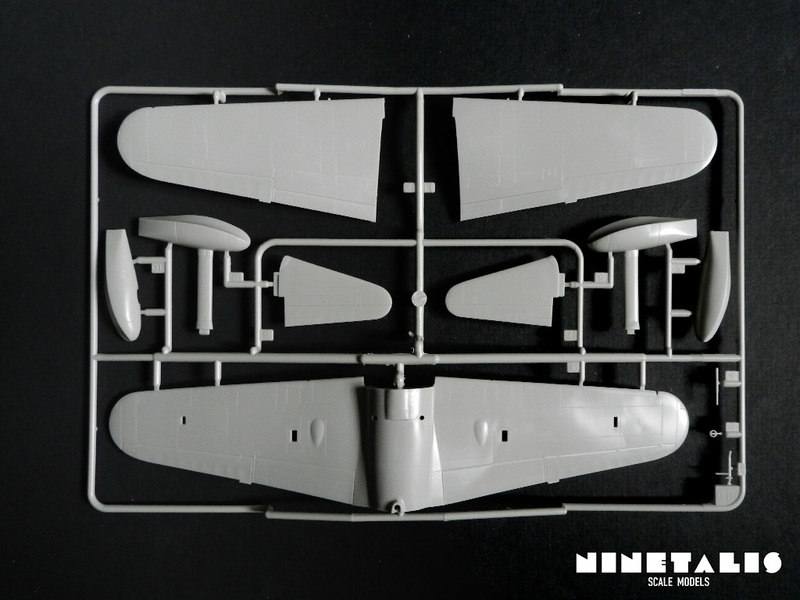 The second sprue holds the upper and lower parts of the wings, the outer floats, the horizontal stabilisers and the control stick. 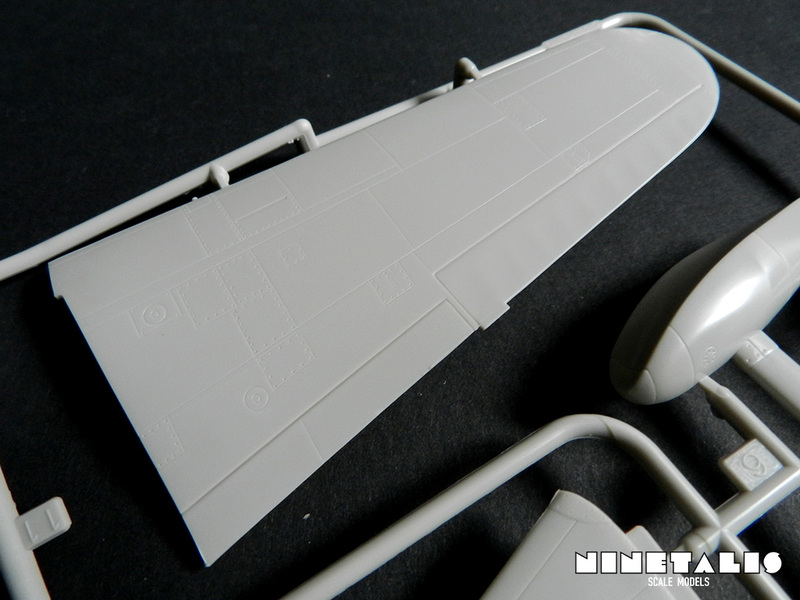 Here again we can find much detail like the previous sprue, with recessed rivets and panel lines all over the wings and floats. 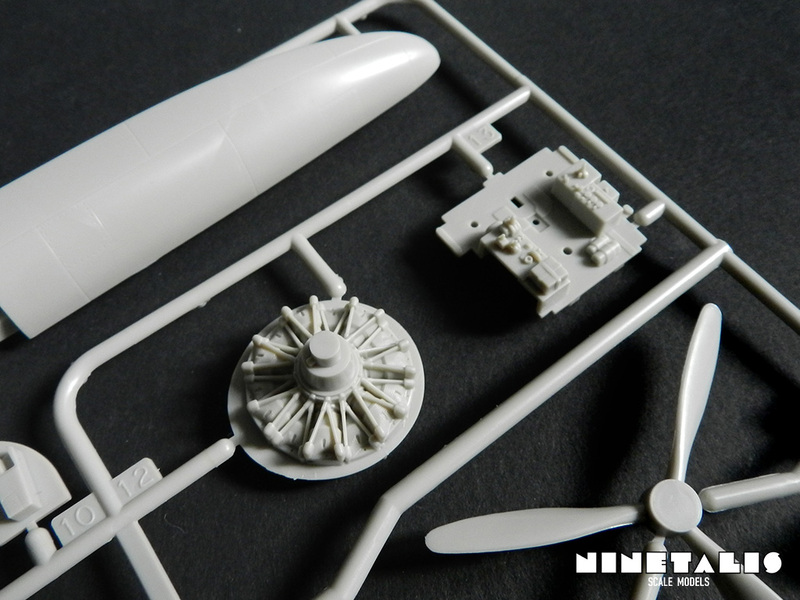 The final styrene sprue holds all of the parts that don’t go on the aircraft itself. This might sound odd for an aircraft kit, but one must remember that this is a floatplane, which often couldn’t stand on its own once on land. For this, Tamiya has provided a cart which were used in real life to move the aircraft about once it was moved or stored on land. On the sprue we can also find a ladder, which were also specially fabricated for the N1K1 so the pilot could climb aboard the aircraft right behind the center wings. In all honesty I don’t really see the additional value of molding these parts in black, but I assume this was meant to make the painting process ‘easier’. However, it is often harder to paint something in roughly the same color as styrene sprue when using an airbrush (or even paint brush for that matter. 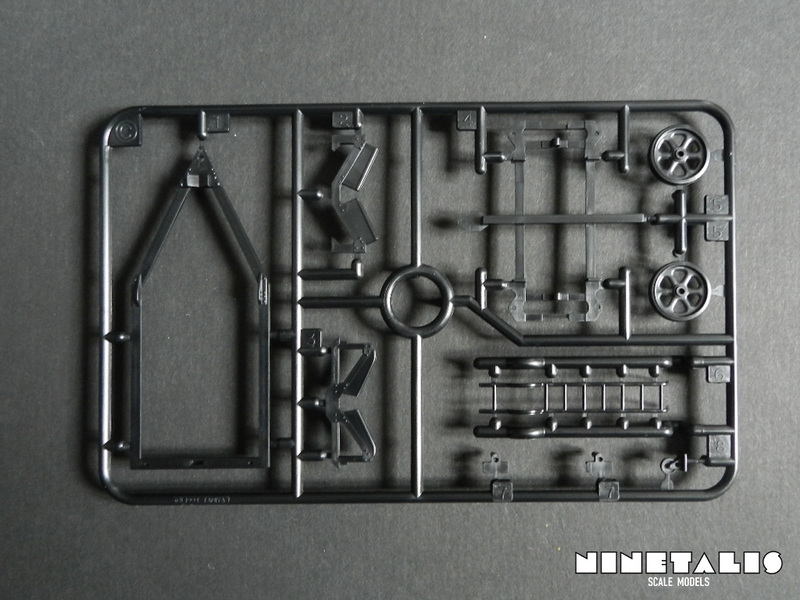 The clear sprue only features four parts, three of which are from the canopy framing. The fourth part is the gunsight, which is one of the seven parts needed to build the cockpit. The parts that are supposed to be painted are a bit higher than the parts that are meant to be clear, which comes in handy during the masking and painting process. The decals are a little bit of a letdown. They are quite thick as with many of the Tamiya kits. There are markings for three different airframes, walkway lines or the yellow areas on the wings leading edges. Yet, despite all this, no stencils are provided. 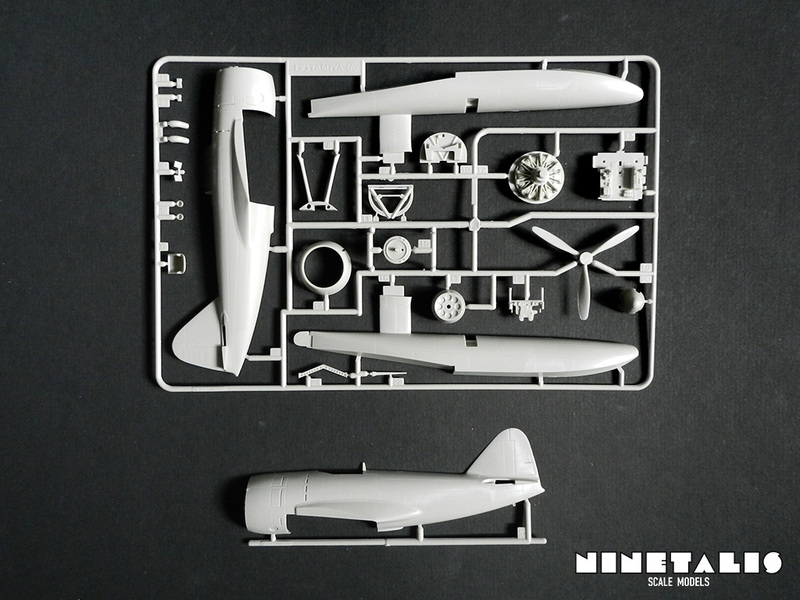 Aside from all the styrene sprues, the kit also provides a weight and some of the usual little parts that are provided with many propeller driven aircraft kits from Hasegawa and Tamiya. The metal weight is meant to go into the forward part of the center float. This is to prevent the model falling backwards because of the structure of the aircraft. 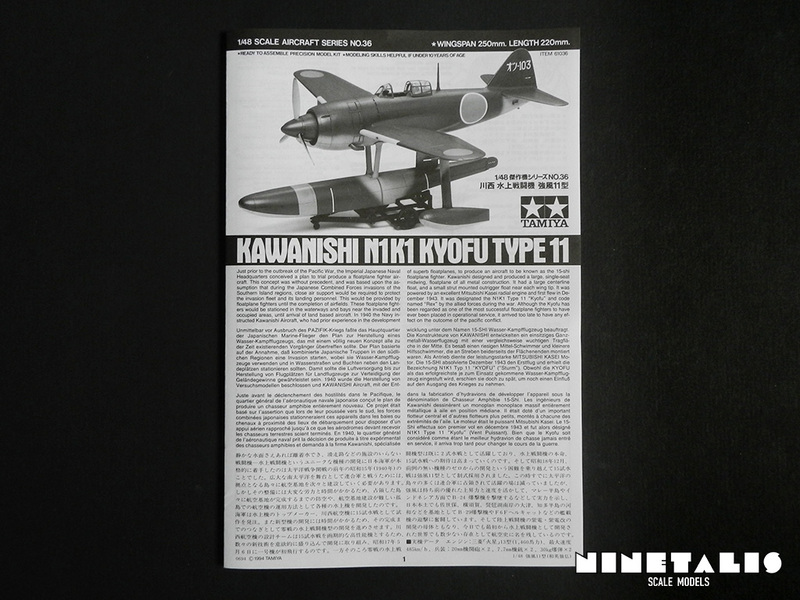 The instructions are classic Tamiya style, with the leaflet being a long sheet of paper, which folds into a paper about the size of an A4 sheet. It has the building illustrations printed on one side, and the markings and information on the other. 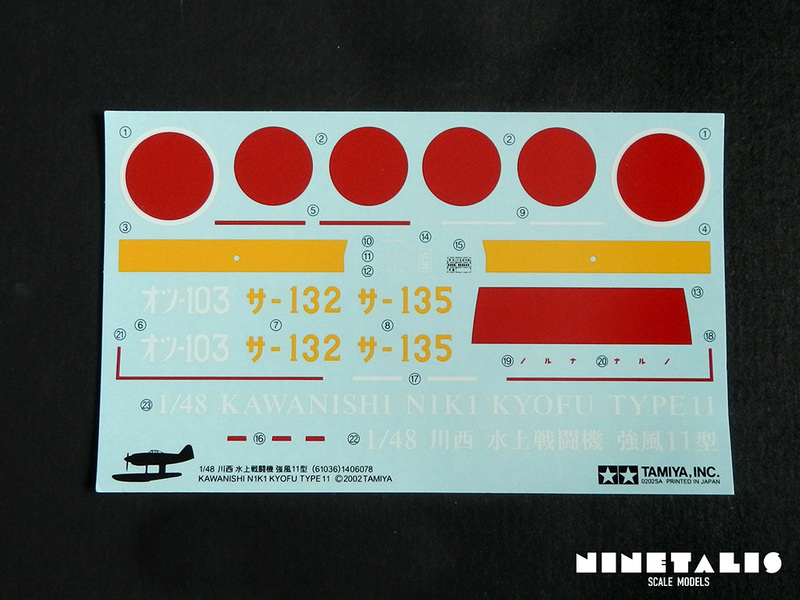 The needed colors are depicted with Tamiya color codes, so it might be easy to identify and write down these next to the code with the illustrations, before the construction itself. Like this it is easier to rapidly identify the codes. Other than that I don’t really see any problem when using these instructions and should not pose any problem to understand. 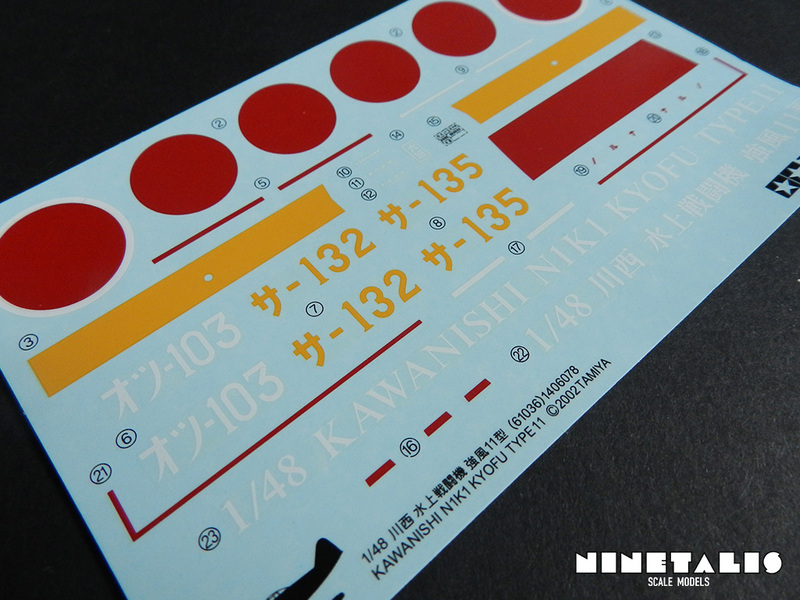 As said before with the decals, there are three markings provided for three different airframes. 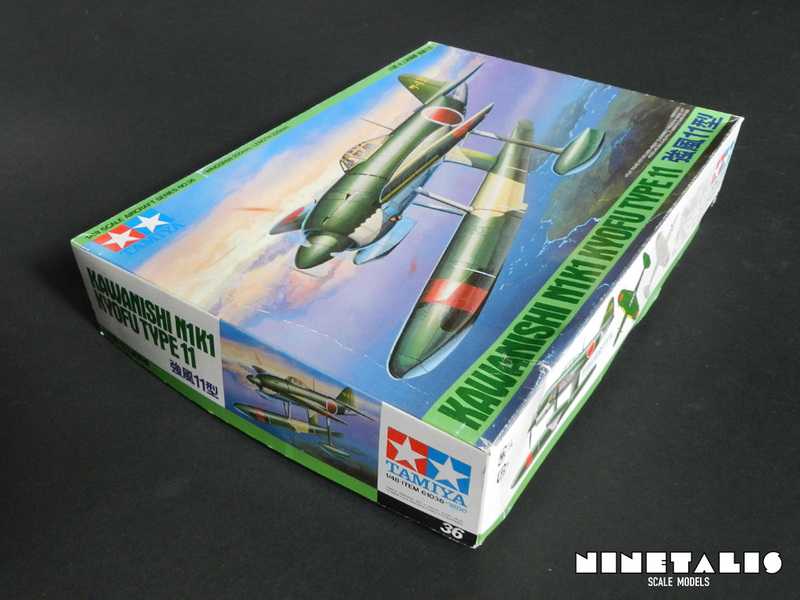 But aside the difference of identification codes, there are no differences with the paint schemes, which are painted IJN gray on the lower areas and IJN green on the upper surfaces. This is not a surprise considering all these aircraft were painted the same, aside from a few orange prototypes. This is a nice little kit providing us with the best of both worlds. It sort of hits that sweet spot when Tamiya improved themselves with giving up on raised panel details but ‘only’ providing the essential details. During some early test fits I encountered no problems and I doubt there will be any other once anyone starts building the kit. The small cart which is included makes sure the aircraft can sit ‘normally’ if you don’t feel like building a complete diorama, or to make it sit nicely on a ‘tarmac plate’ if you don’t feel like building a water diorama. The only downside with the kit would be the engine that is molded inside the cockpit wall itself. For me this would usually be a death sentence on a kit. However, given the large propeller cone and bulged engine cowling, which hides the engine pretty much completely, I do make an exception for this one. 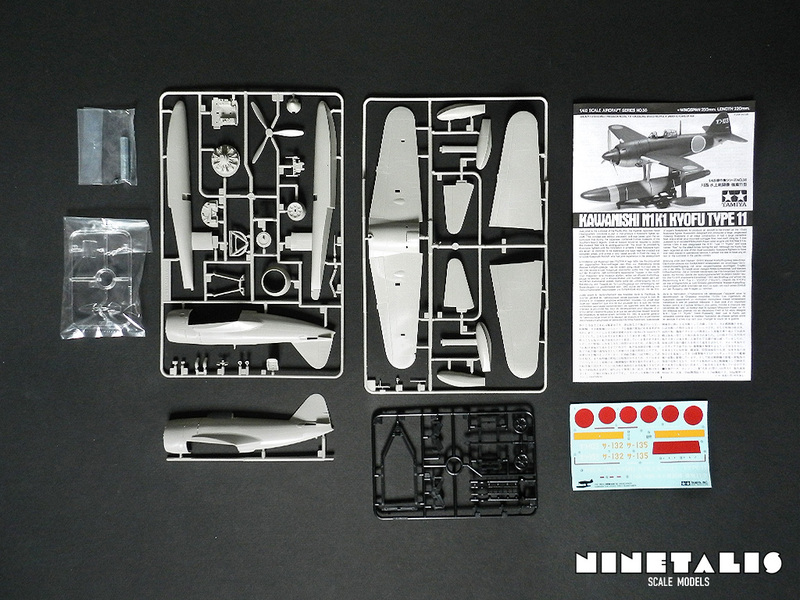 Given the small part count, small price despite the aircraft’s size and high amount of detail, I definitely recommend this kit for both beginners and serious builders alike.